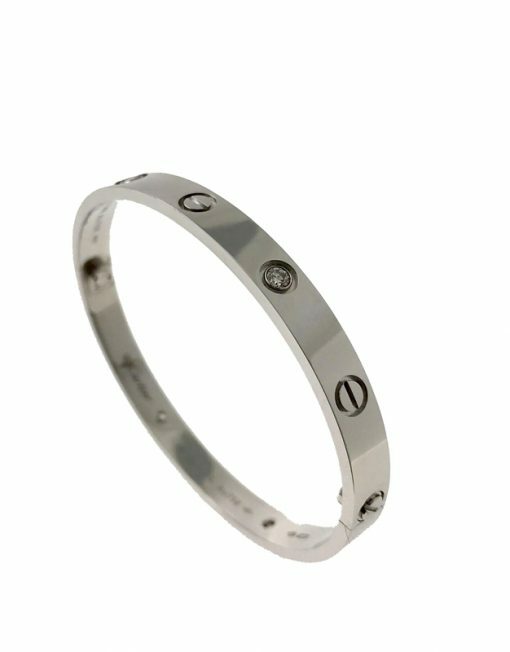 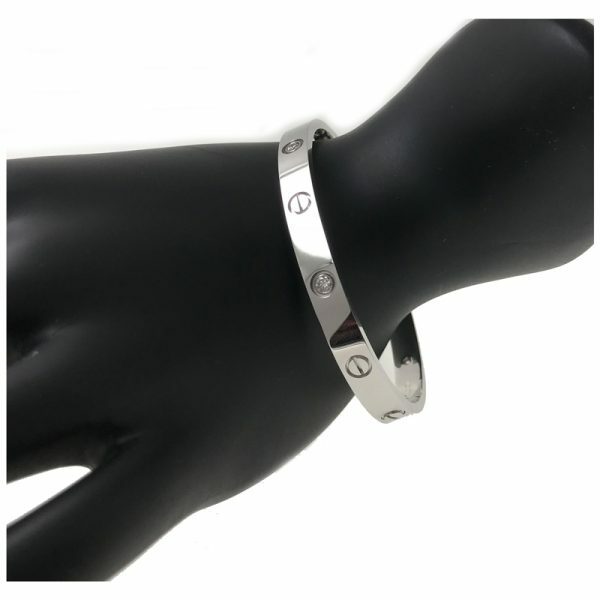 This Cartier 18k white gold love bracelet is set with 4 round brilliant cut diamonds. 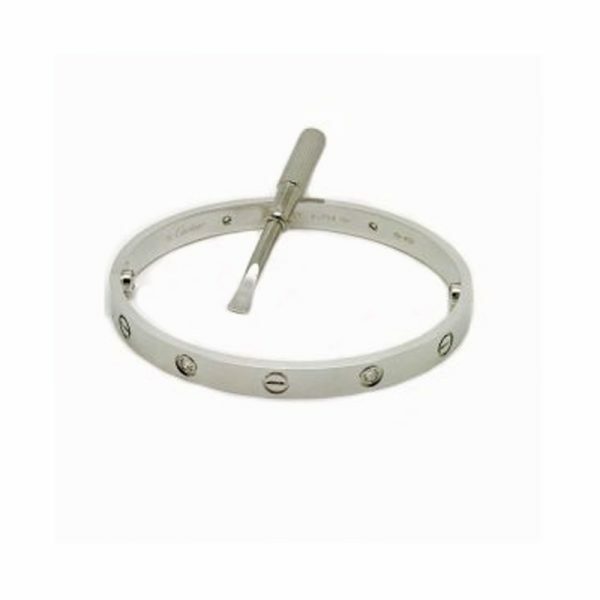 It has the new style screw system. 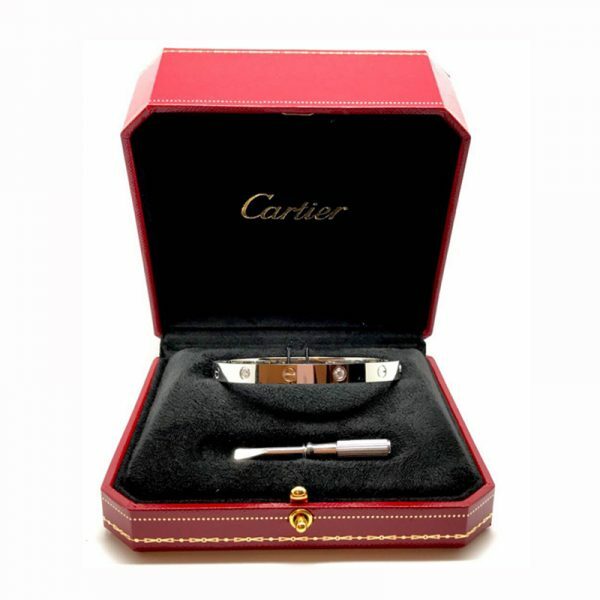 Packaging: Cartier presentation box with ergonomic screwdriver. 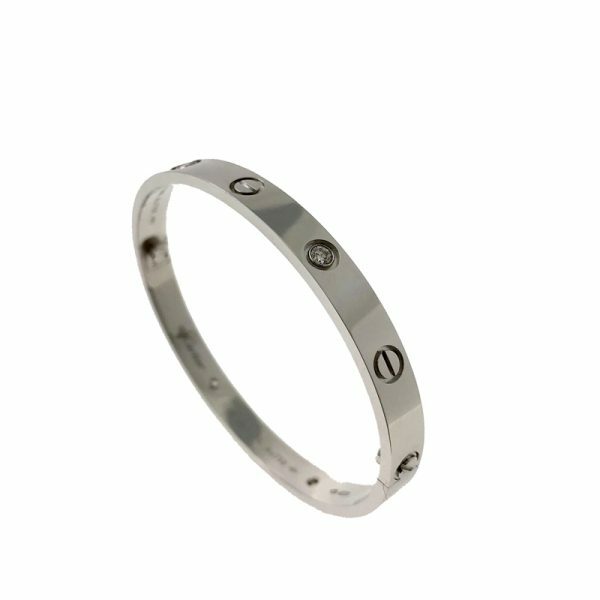 Original Cartier certificate of authenticity. 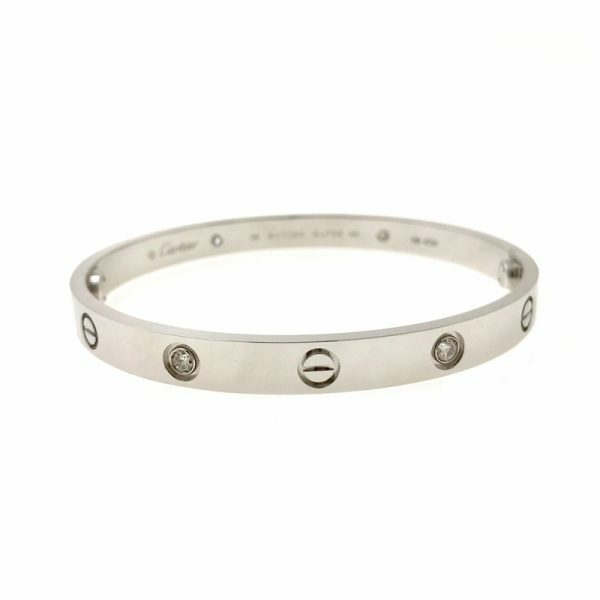 This bracelet will be available by 27 Nov. Reserve now!